General Rawat said infantry modernisation and procurement of missiles, attack helicopters and other key platforms will be major priority area for him in the next one year. 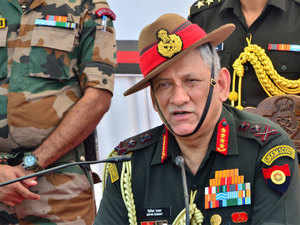 NEW DELHI: The Army will carry out major reforms and organisational restructuring in the next few months and has decided to roll out an Integrated Battle Group (IBG) as part of overall plan to enhance combat capability of the force, Army Chief Gen. Bipin Rawat said Thursday. He also said more funds are needed to carry out modernisation in the force. He said infantry modernisation and procurement of missiles, attack helicopters and other key platforms will be major priority area for him in the next one year. 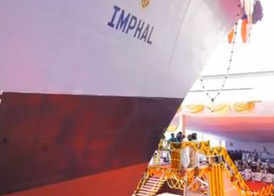 The decision to set up IBGs comprising various arms of the force including elements of air power, artillery, armoured corps is seen as a major leap forward in boosting the Army's fighting capability. The Army Chief, addressing a press conference ahead of the Army Day on January 15, said IBG would be tested during a war game in May following which it will be rolled out. He said the IBG will have infantry element, mechanised element, artillery corps and armoured formations. Gen. Rawat also said that the Army headquarters was in touch with the Indian Air Force on who should keep the attack helicopters. "We think the Apaches are tank killers and are necessary to be grouped with strike formations," he said. In 2017, the government approved procurement of six Apache helicopters along with weapons systems from Boeing at a cost of Rs 4,168 crore for the Army which will be its first fleet of attack choppers. After the government finalised a deal for 22 Apache helicopters for the Indian Air Force, the Army was pushing for follow on orders of 11 choppers for it, arguing that the ground forces need them considering the changing security scenario in the region. On restructuring of the Army, he said it will be implemented in the course of the year, noting that there cannot 100 per cent consensus on such issues. In September last year, the top brass of the Army gave an in-principle approval to carry out extensive reforms in the second largest standing Army in the world with an aim to enhance its war-fighting capabilities. The reform will include making various formations as well as divisions "leaner and meaner", transforming the procurement process into a seamless exercise, restructuring of various establishments of the force and downsizing of the troops if required. On infantry modernisation, he said new assault rifles will be procured this year. On the issue of disability pension, Gen Rawat said, he was focussing on removing disparities in disability pensions. The cases of truly disabled soldiers cannot be compared with those who suffer from "lifestyle disabilities" like hypertension and diabetes, he said. The government last year decided to continue with an earlier system of disbursing disability pension and not to go ahead with a new regime recommended by the seventh pay commission. "The Army will observe this year for the next of kin of the disabled or killed soldiers. We will identify those who need help," the Army Chief said. He also rejected allegations by certain quarters that the Army was being politicised under his leadership. We are often accused of being politicised if we are tasked to do something that impacts internal security. Any operation done with government sanction, the failure and success will go to both sides, he said.